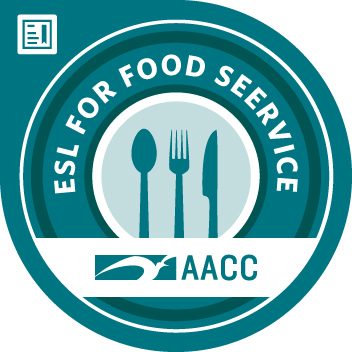 ESL 405: English as a Second Language for Food Service is a 40-hour, 10-week class for restaurant employees at Maryland Live Casino. The purpose of the course is to increase the students' confidence and fluency using English to serve customers in a restaurant, communicate with cooks, casino staff and management. Recognize how cultural differences impact communication. Develop active listening skills and strategies for efficient communication with co-workers and customers. Identify and improve vocabulary and language skills to maximize communication and customer satisfaction. Increase oral proficiency to interact with co-workers and customers, and to describe the menu items and their essential ingredients.